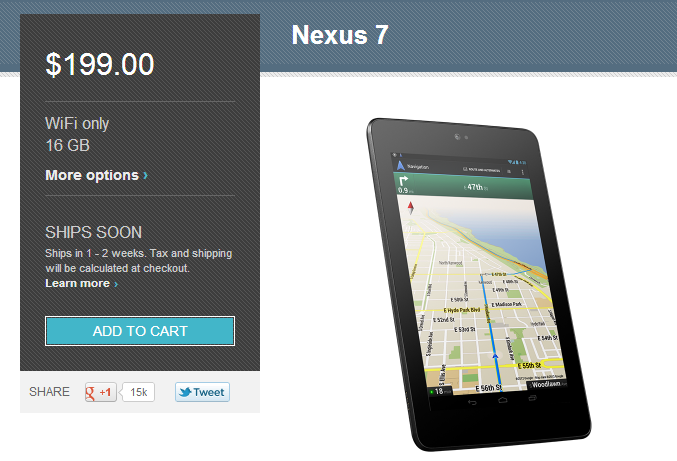 Over the holidays, the Nexus 7 in 16GB was quite difficult to come by. Not that it should surprise anybody these days, but it’s the best $200 tablet around if you ask us. It has finally become available once again and Google mentions that it “ships soon” aka 1 – 2 weeks. Not bad. Cheers Cory, Steve, and Danny!